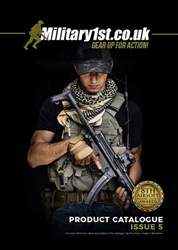 We are pleased to present you with the fifth edition of the Military 1st catalogue. Inside you will find a selection of apparel and gear from a variety of brands such as Brandit, Highlander Outdoor, Jack Pyke, Condor Outdoor, Mechanix Wear and Viper Tactical. 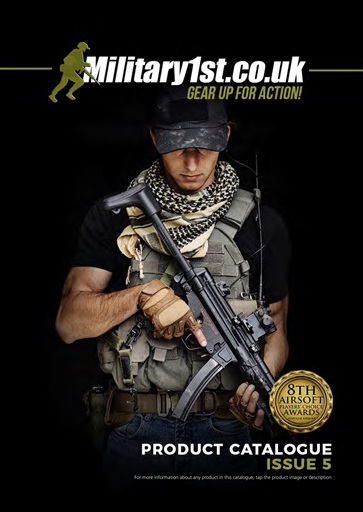 We also included a collection of innovative attire and equipment from First Tactical and Propper, whose labels were both introduced last year and have proven to be an instant hit with our customers. Our catalogue showcases the best and the newest products our store has to offer. Every brand we stock has been carefully selected so we can only provide goods of the highest quality. This year we are particularly eager to show you the latest clothing and accessories from Helikon-Tex and Pentagon, presented at the IWA & OutdoorClassics 2018. We also cannot overlook the new additions from Maxpedition and Wisport, both renowned bags and backpacks experts. We believe all the above, along with a growing number of fans and followers on social media as well as skyrocketing TrustPilot ratings, show that our customers enjoy shopping with Military 1st and that they are happy with the service provided by the whole Team. Please remember, this catalogue is only a small portion of the vast assortment, thus, as usual, we invite you to visit our website. We are delighted that we can offer free delivery and returns to our customers in the UK and free shipping to many countries worldwide including Ireland, Australia and the United States. Moreover, at the end of last year, we extended our Returns Policy from 30 to 60 days. Those advances have been consciously implemented to make the buying experience even more gratifying. Many thanks for your custom and your continuous support!